You’re probably thinking, “But John, you’ve already done ‘Rhythm of the Rain’!” and yes, in fact I have, in June of 2015. This battle is different, because the two contestants are doing non-English versions of the song. CONTESTANT #1: Sylvie Vartan, “En écoutant la pluie” Sylvie recorded this French version in 1963, and it topped the chart in France. CONTESTANT #2: Rob de Nijs, “Ritme van de regen” Dutch teen idol de Nijs recorded this as a B side, and it became popular anyway. So, which of these do you like better? Listen to both, decide which is more pleasing to your ears, and vote for it by leaving me a comment below. If you want to expound on why you like that one better, feel free! Then, how’s about visiting the other BotB participants and voting in their battles, too? I’ll announce the winner of this week’s contest next Monday, April 8, so be sure and get your vote to me by then. The lines are now open. Bonne chance, Sylvie! Veel succes, Rob! This was a pretty good battle, all things considered, especially since I had no idea what I was going to do until minutes before I posted it. Here’s the result. Congratulations to Lola Albright and a pat on the back to June Christy! 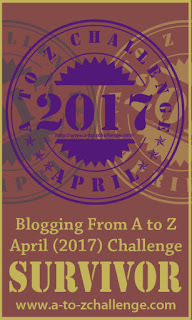 Next month, of course, is The A to Z Challenge, and I haven’t decided whether to do any battles while I have all that going on, so the next battle will either be April 1 or May 1. Whichever it is, we’ll see you then! Back again, and again a day late, with the next installment of Battle of the Bands. Today’s battle features the jazz standard “How High The Moon,” which was written by Nancy Hamilton (lyrics) and Morgan Lewis (music). 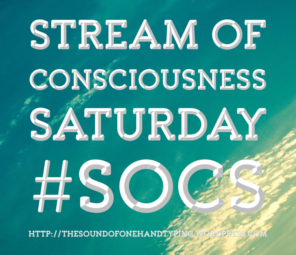 First recorded by Benny Goodman & His Orchestra in 1940, it’s been done many, many times since, both as a vocal and an instrumental. Wikipedia tells us that Charlie Parker adapted the chord changes in the song to write his tune “Ornithology,” and many musicians (among them Lionel Hampton and Ella Fitzgerald) move between the two songs seamlessly. It’s a favorite among gypsy jazz bands, such as The Quintette du Hot Club de France, led by Django Reinhardt. The best-known version was done by Les Paul & Mary Ford in the early 1950’s. Today we have a battle between two lovely chanteuses from the ’50’s. June Christy June’s one of my favorite singers from this era, and here she’s backed by The Nat King Cole Trio with Mel Tormé on the drums. Lola Albright Lola Albright, you might remember, starred on Peter Gunn as the nightclub singer (and love interest for Peter) Edie Hart. Here she is from an episode of that show, with a combo featuring Shorty Rogers on flugelhorn. On Friday, March 22, I’ll count the votes and let you know who the winner is, so be sure and vote by then. The lines are now open. Best of luck to Ms. Christy and Ms. Albright! That’s a rather decisive win for Phil, I’d say. Congratulations to him and a pat on the back for Rod Stewart, who put up a good fight. Our next Battle of the Bands is next Friday, March 15. Be sure and join us then!